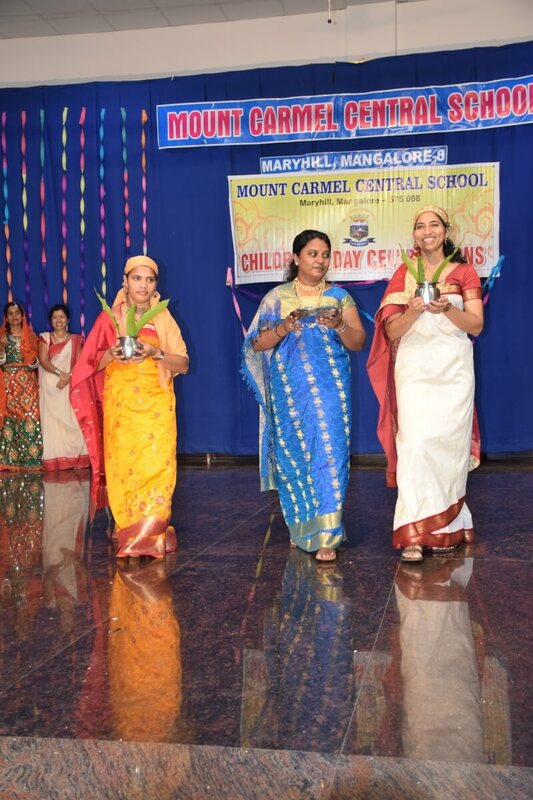 ‘School Days are Golden Days’ is a right way to express this age of children, when one is carefree. 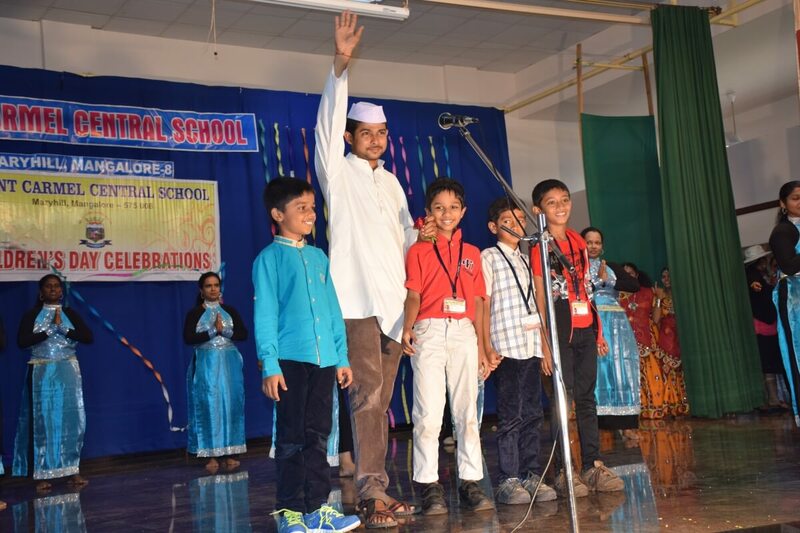 The Birth Anniversary of the first Prime Minister of India, Pandit Jawaharlal Nehru which is also observed as Children’s Day nationwide was celebrated in our school on Monday, November 14, 2016. 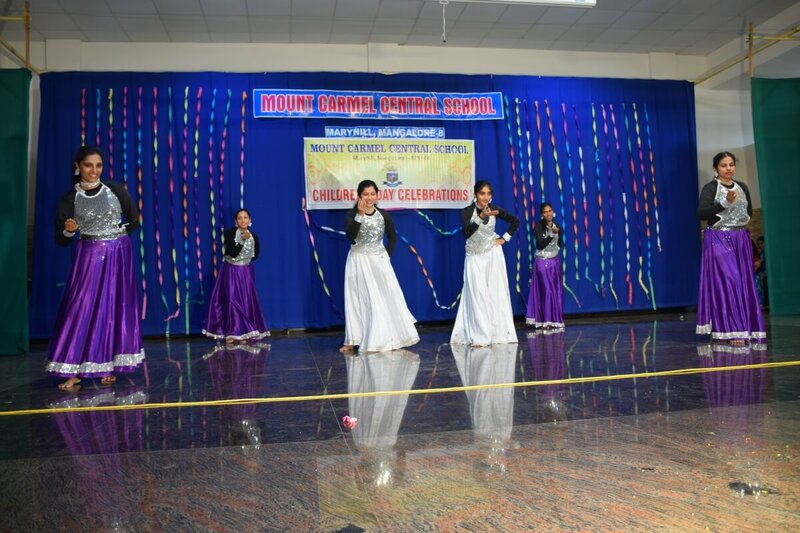 In the morning, various competitions and activities were conducted to keep the students engaged and entertained on their special day. 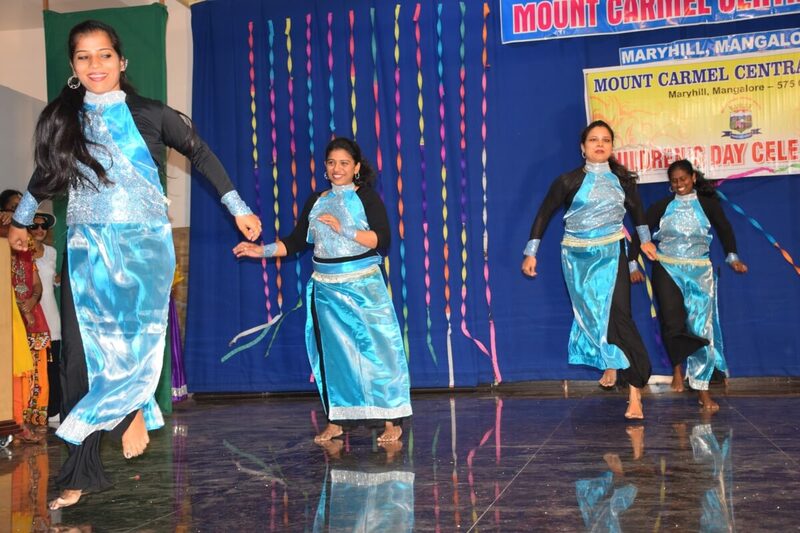 There were competitions like Folk Dance for classes VI to VIII and Mad Ads for classes IX to XII. 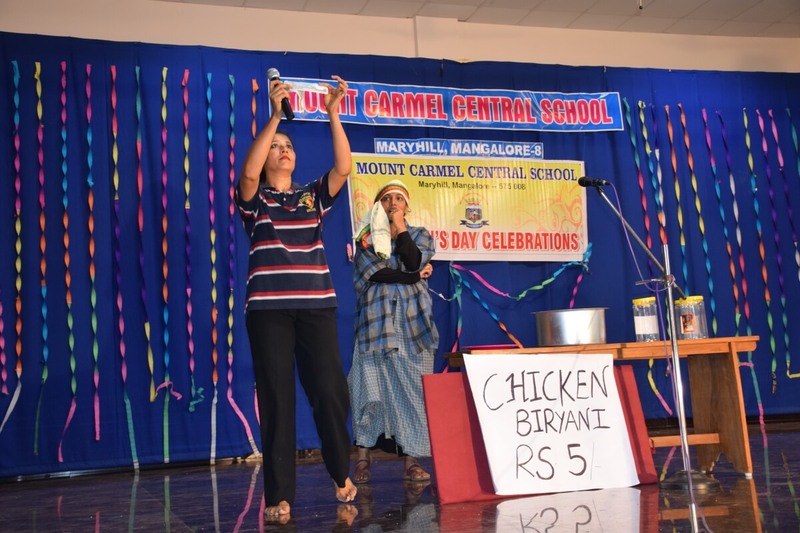 The Management distributed ice cream to the staff and students to make this occasion a joyful one. 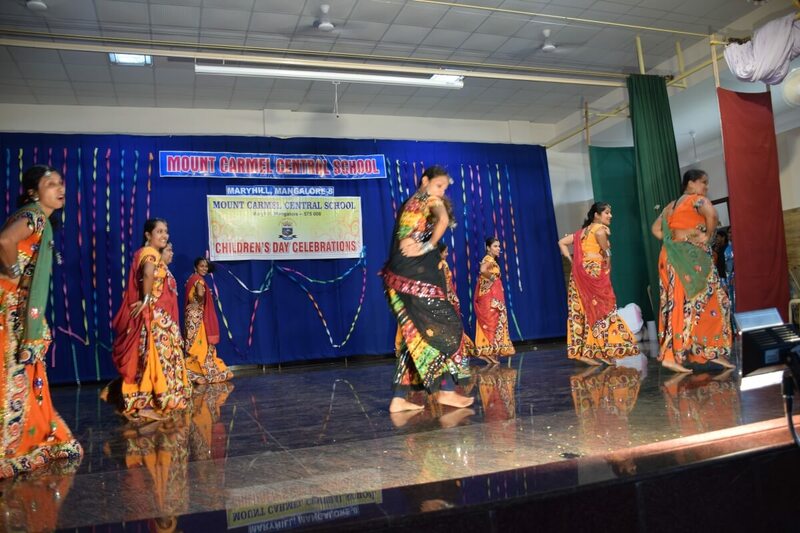 Students were then taken to the School Auditorium for a cultural programme. 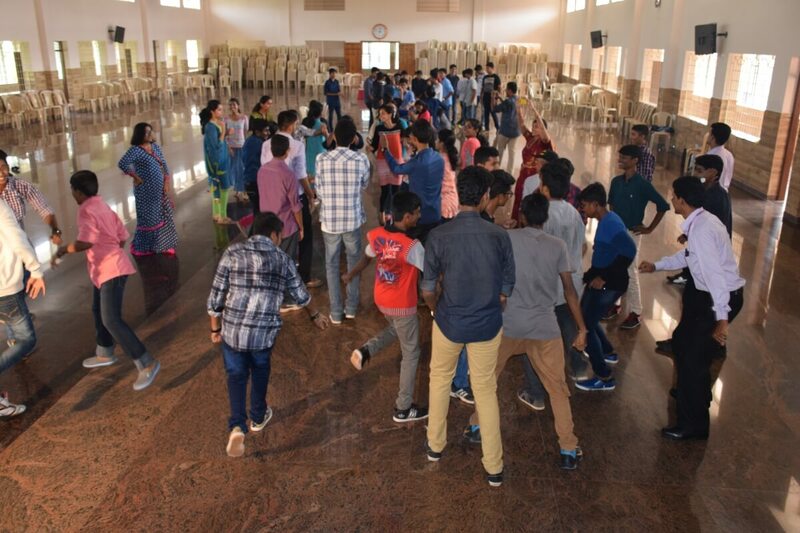 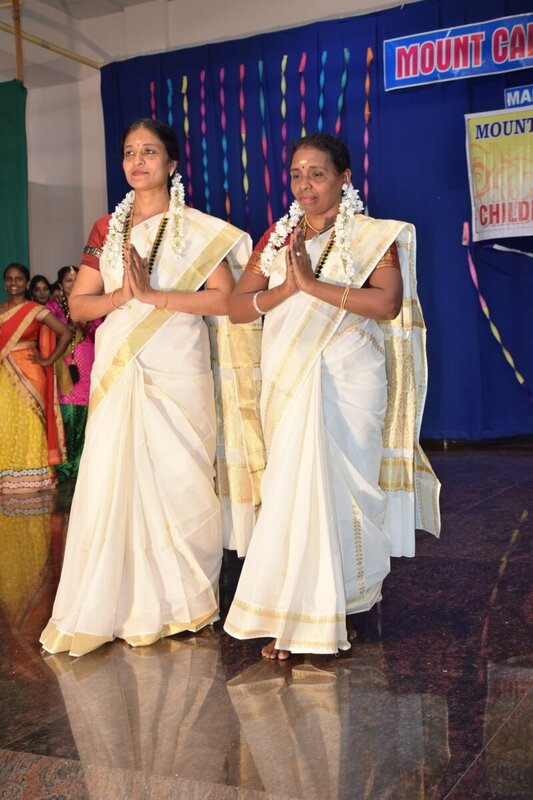 The teaching and non-teaching staffs entertained the children with various cultural programmes and conducted fun activities, thus celebrating this day in a true sense. 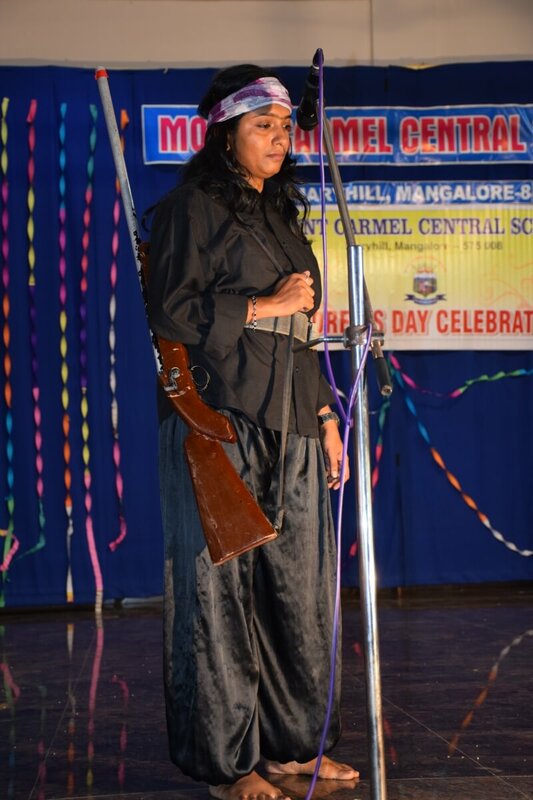 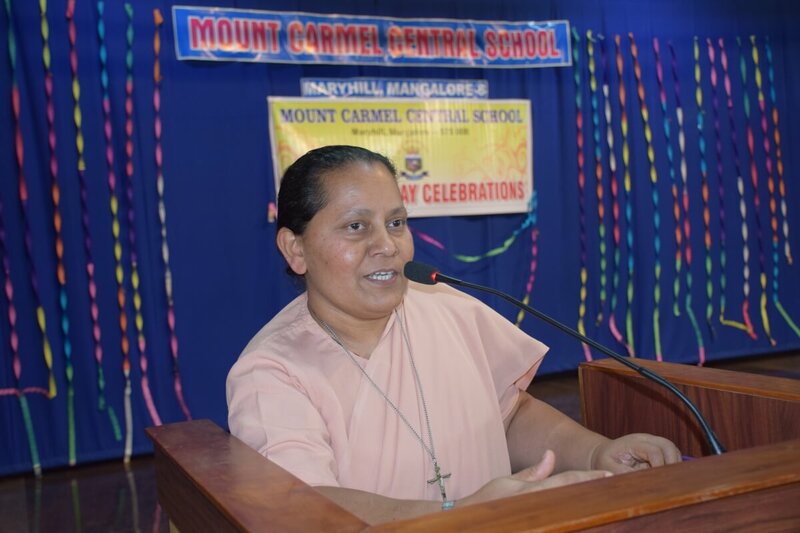 Sr. Melissa A.C., Principal and Sr. Carissima A.C, Administrator presided over the programme. 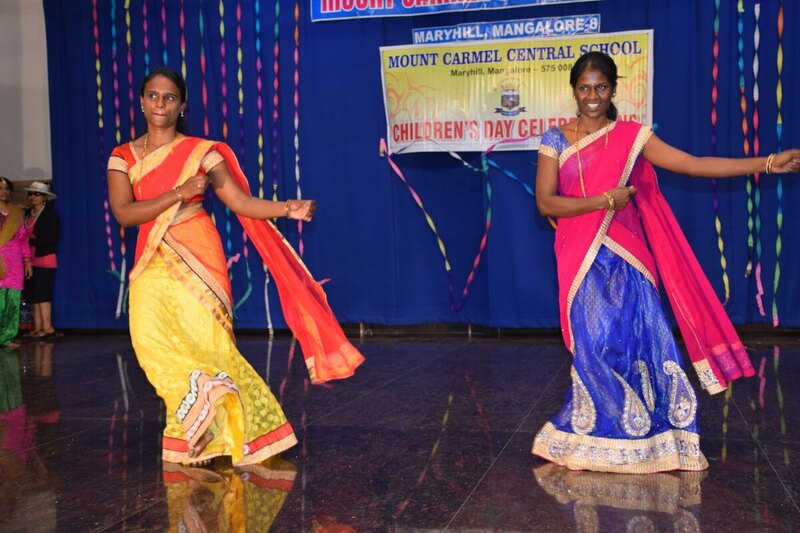 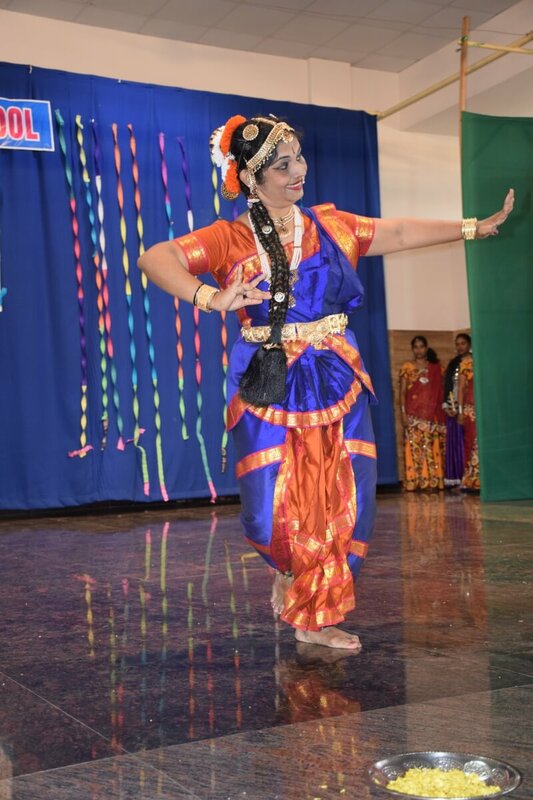 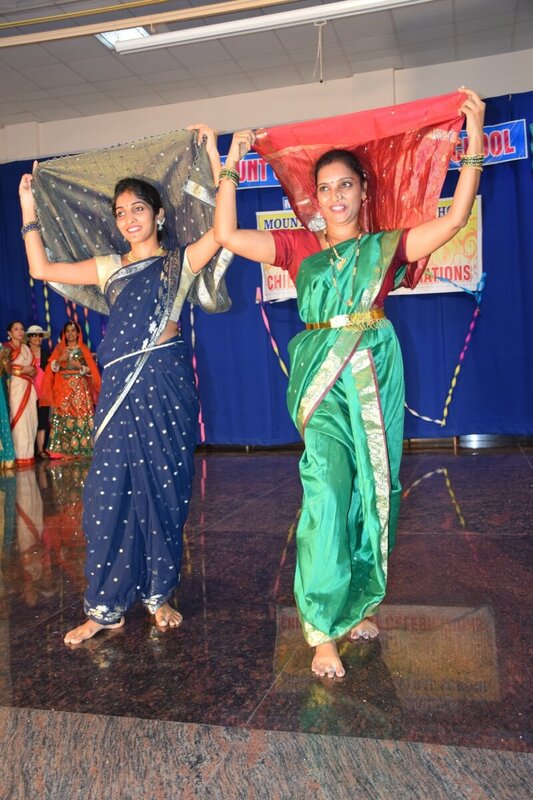 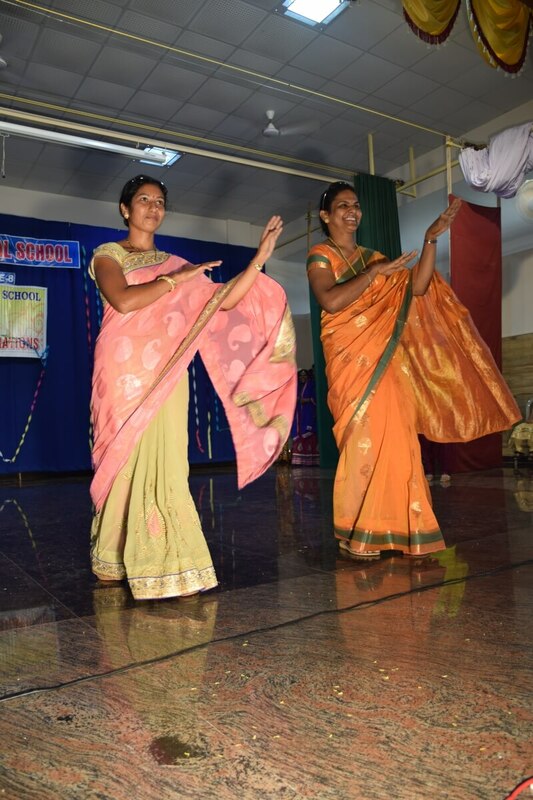 Celebrations began with a prayer service conducted by teachers and was followed by a welcome dance – Bharatanatyam form. 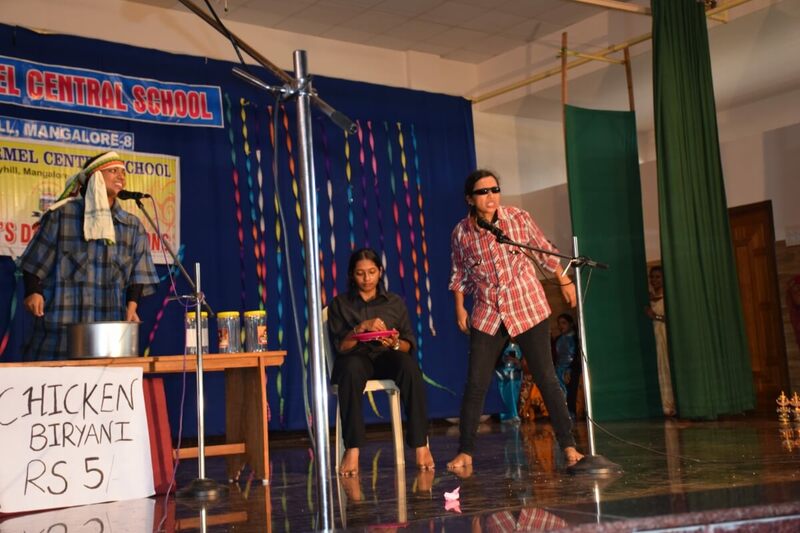 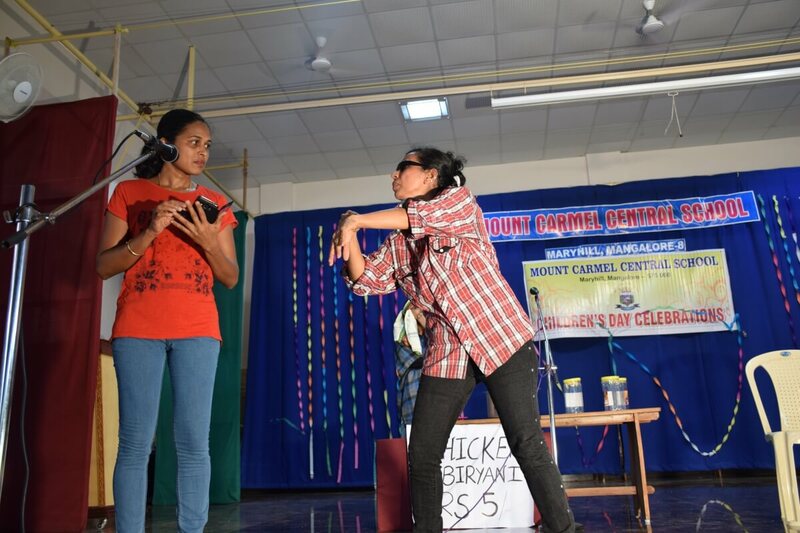 The gaiety included a play, wherein the theme was based from the famous movie Sholay. 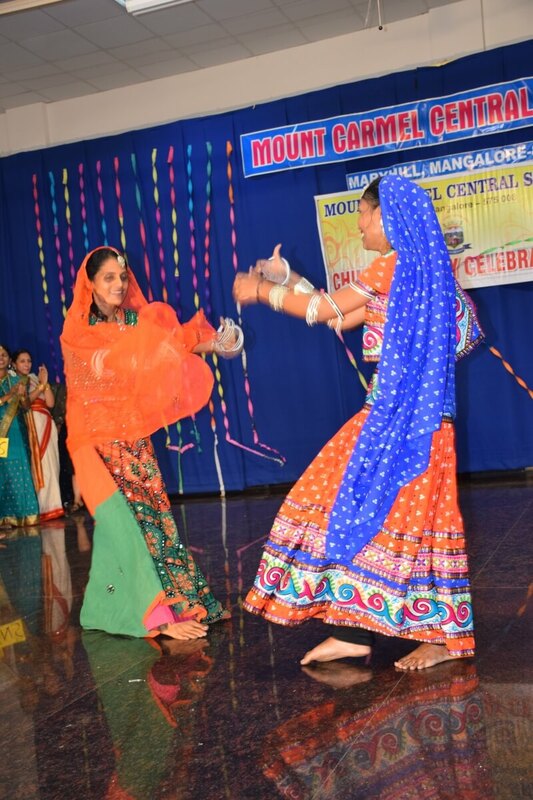 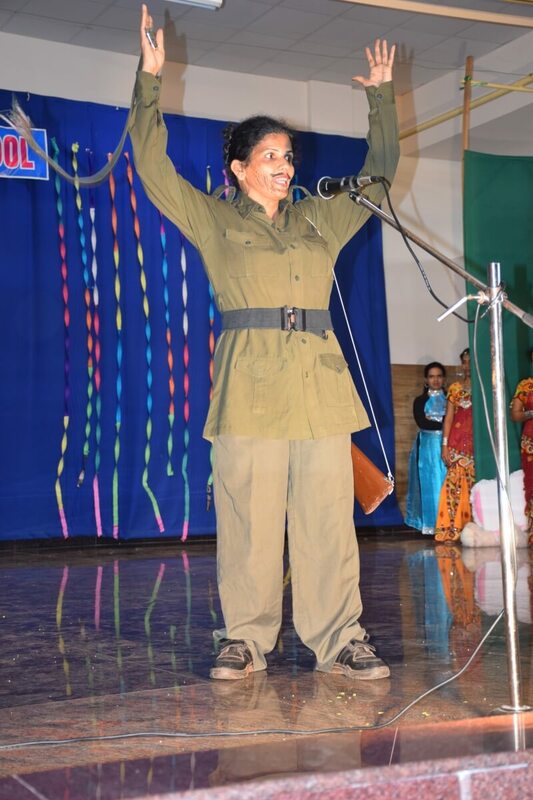 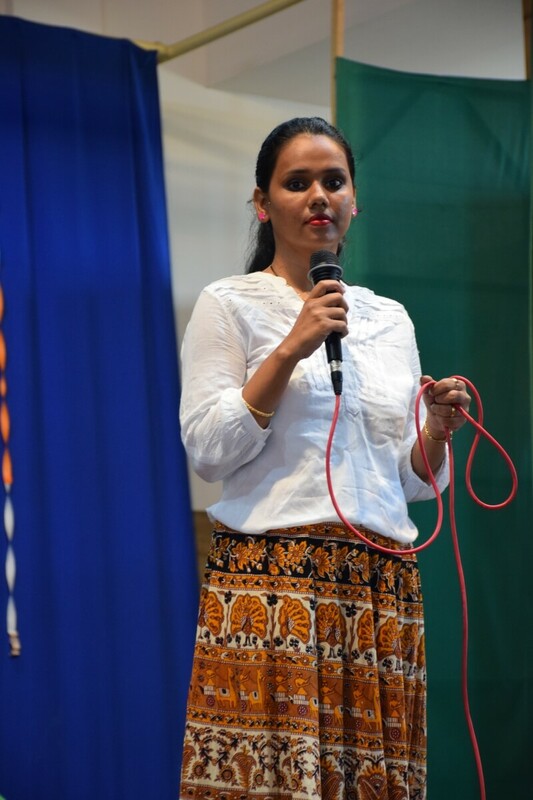 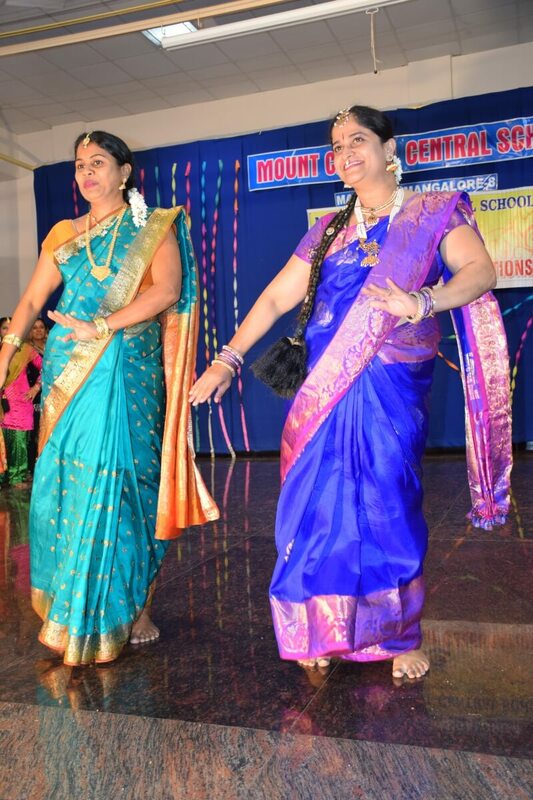 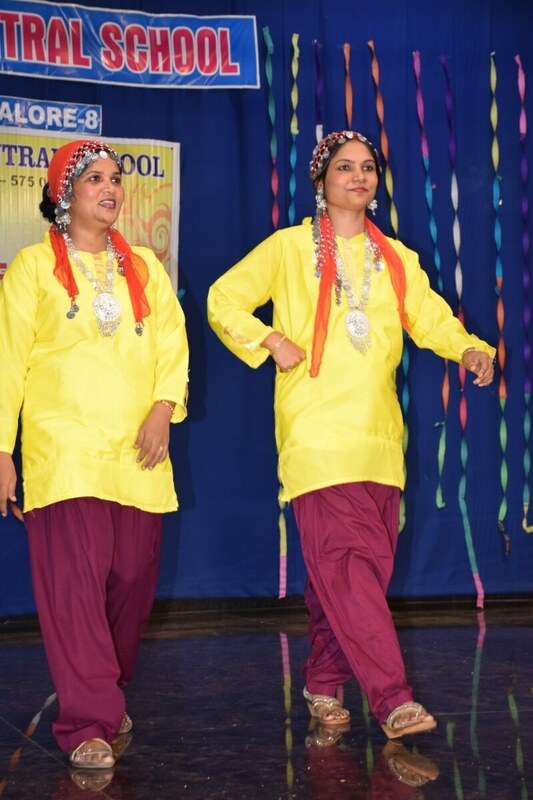 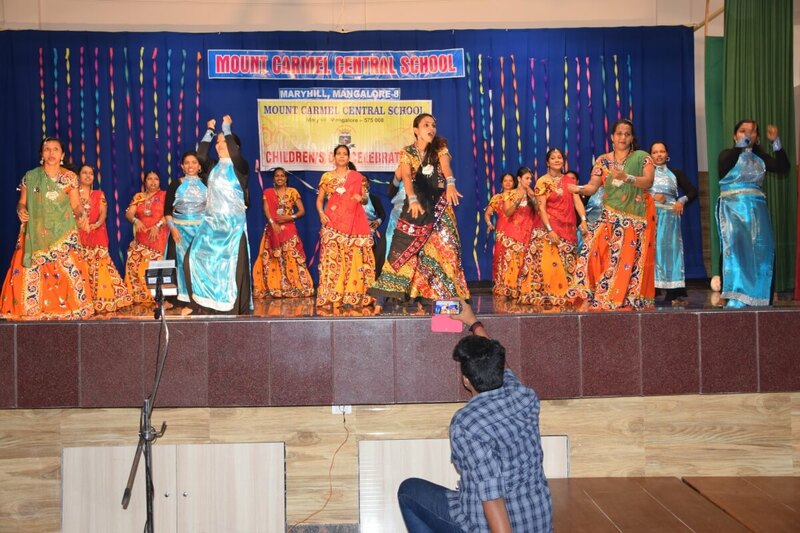 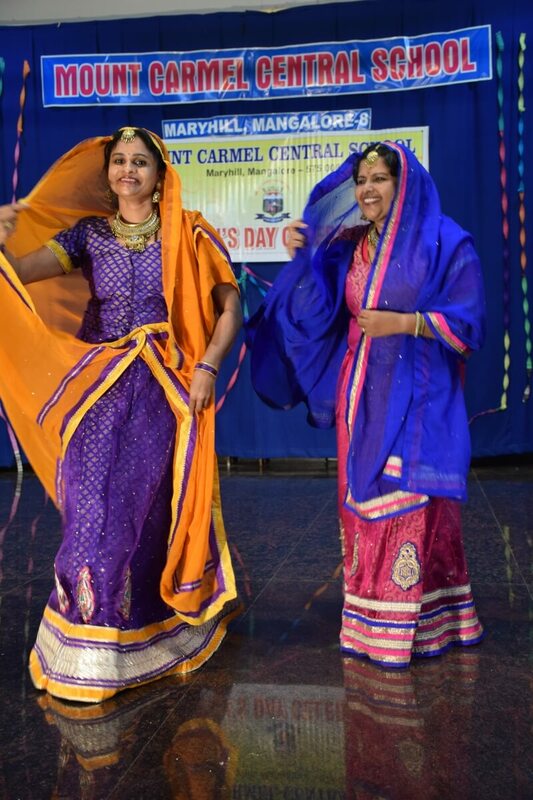 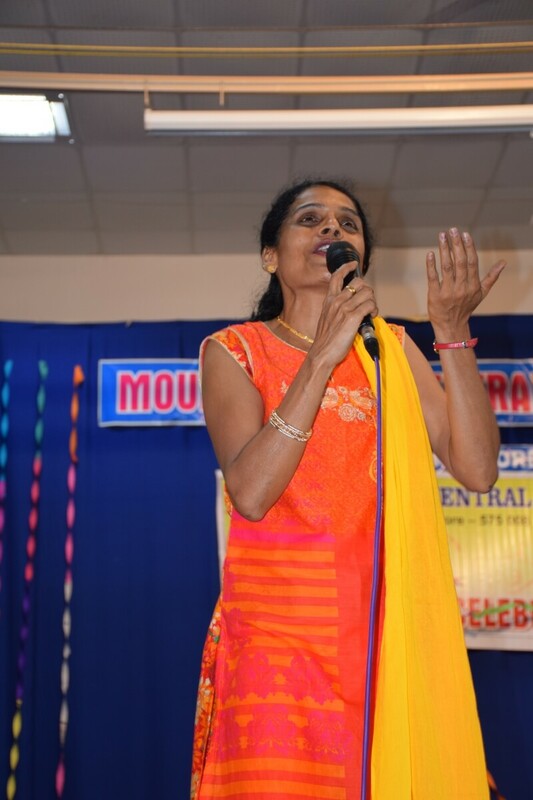 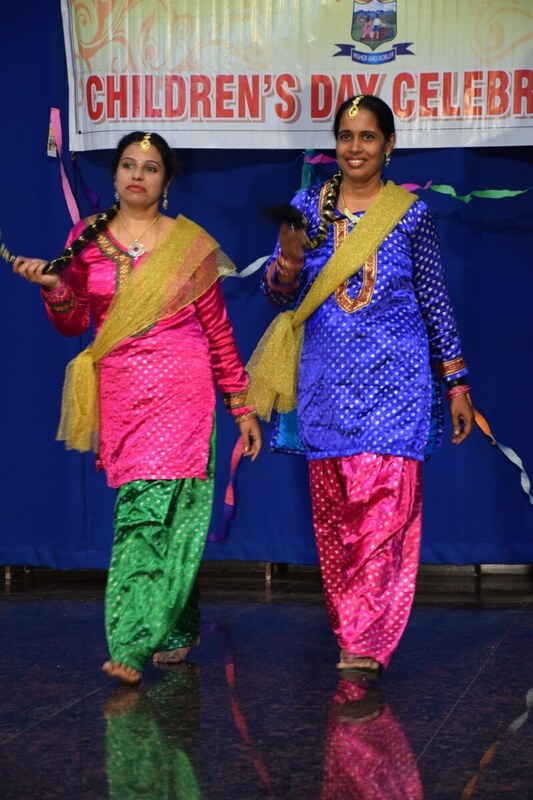 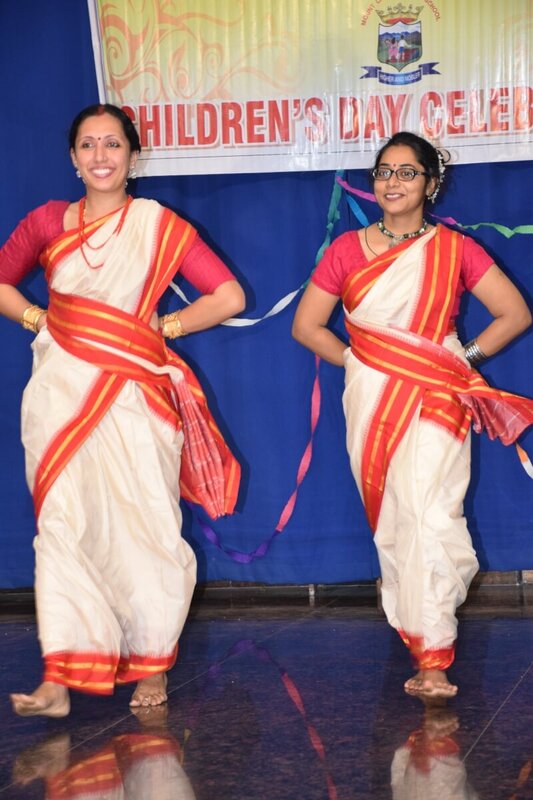 The teachers enthralled the students’ crowd with their sprightliness in the form of dance, skit, jokes and songs. 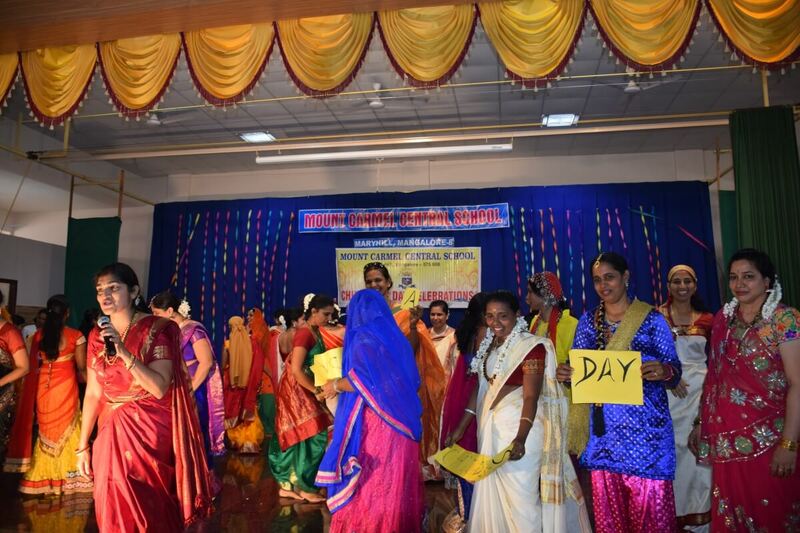 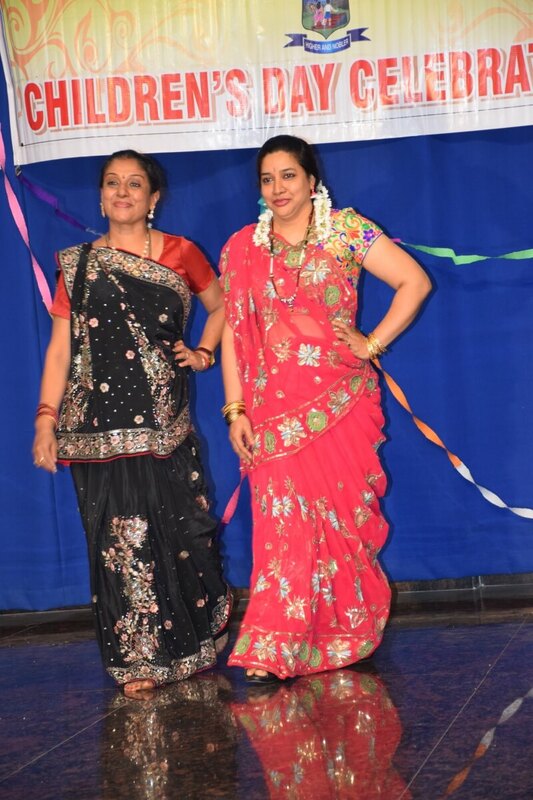 Teachers also dressed themselves up in a variety of traditional attire from various states. 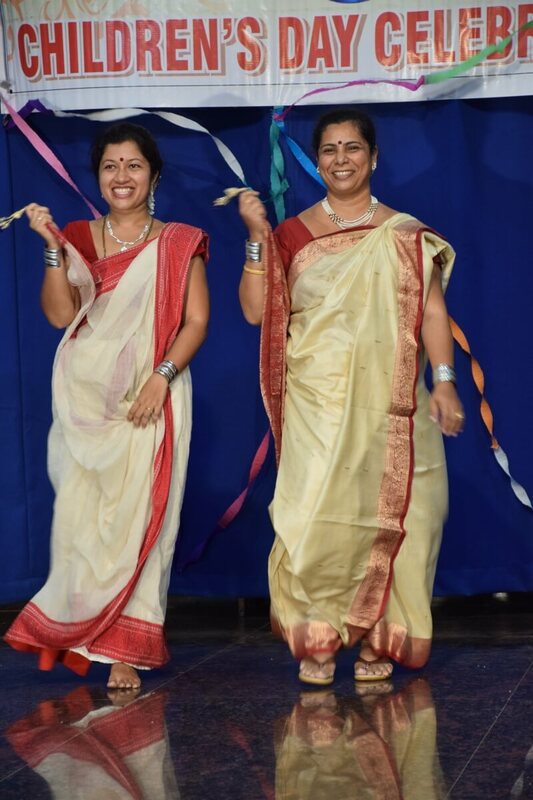 They walked the ramp and grooved to the beats of the respective states they represented. 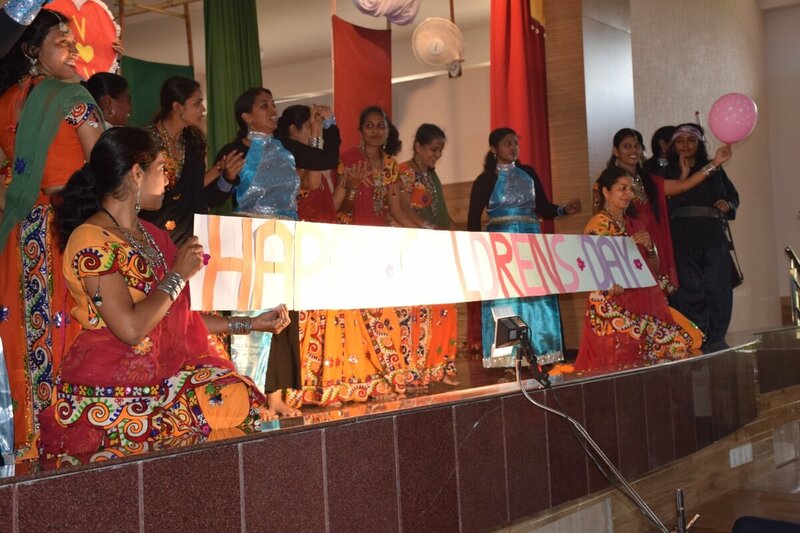 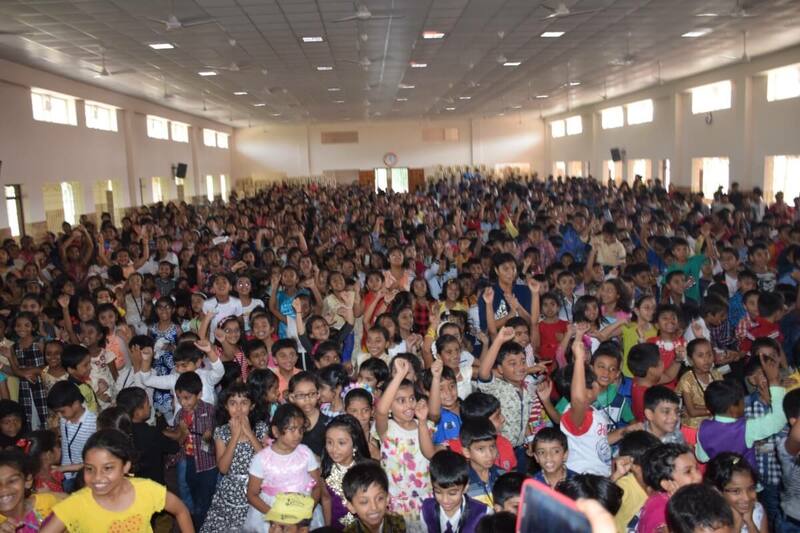 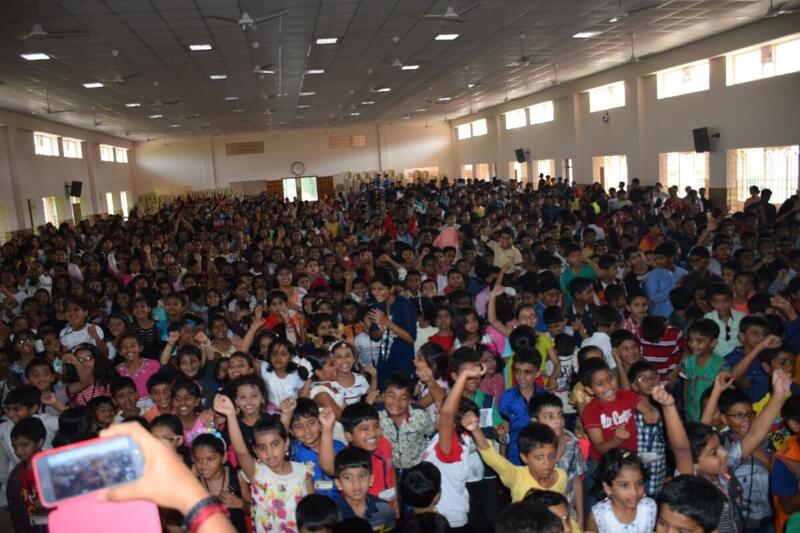 Children appreciated and enjoyed the programme given by their staff members. 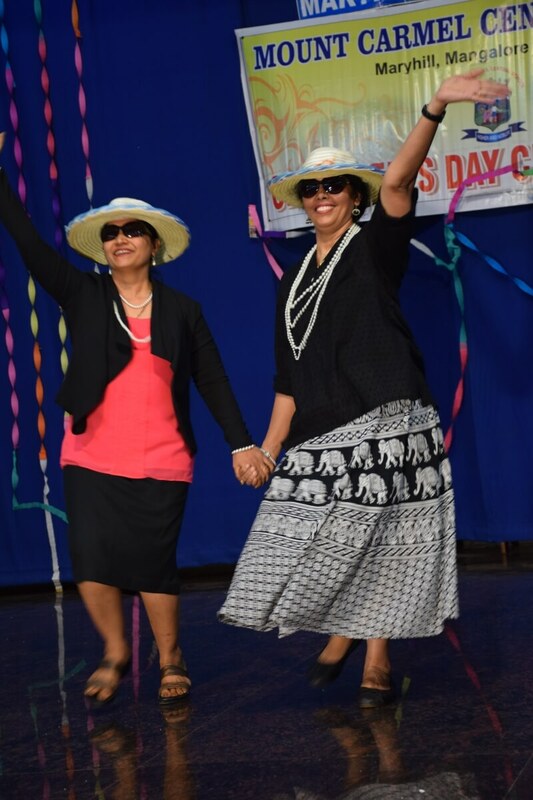 The Principal wished them a wonderful day on behalf of the Management. 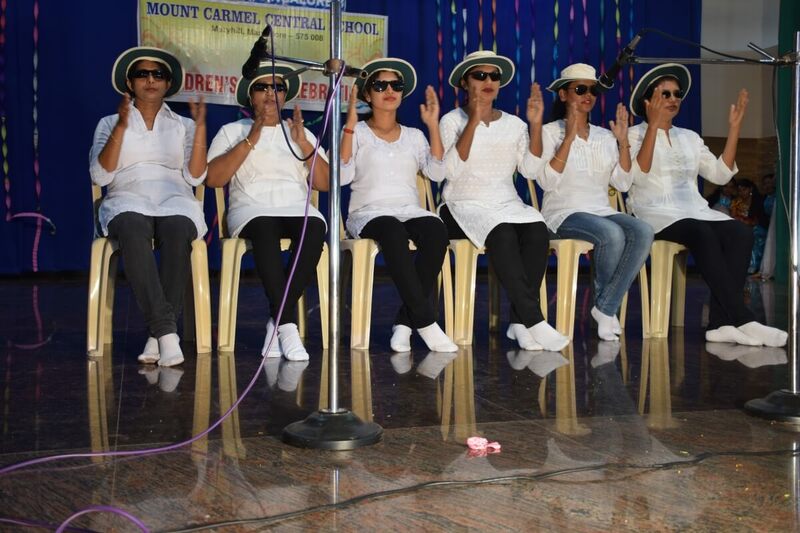 Thus it was pleasing to see our students enjoying and clapping their hands as their teachers performed on stage. 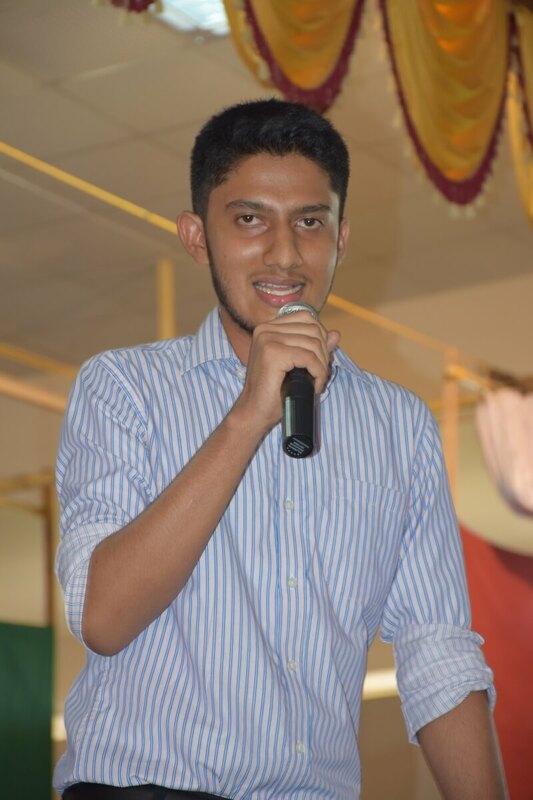 The school Head Boy, Chinmaya H.N of class XII thanked the teachers on behalf of the all the students for the efforts put in by the staff. 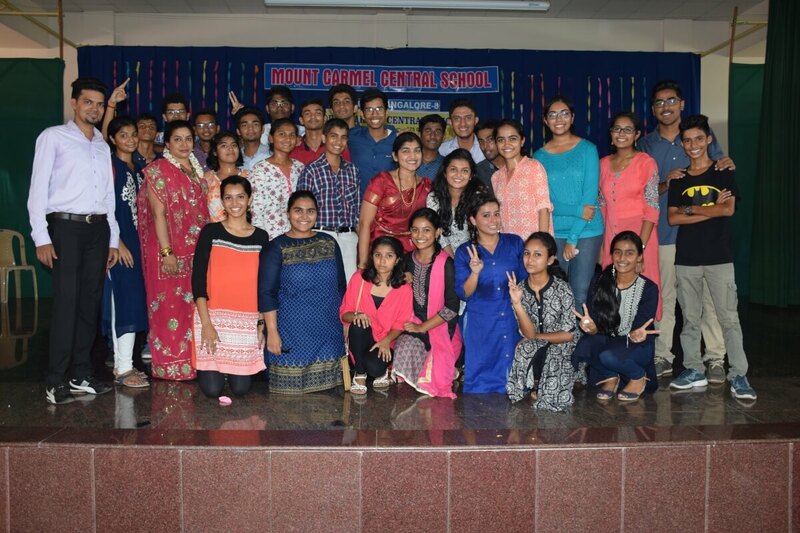 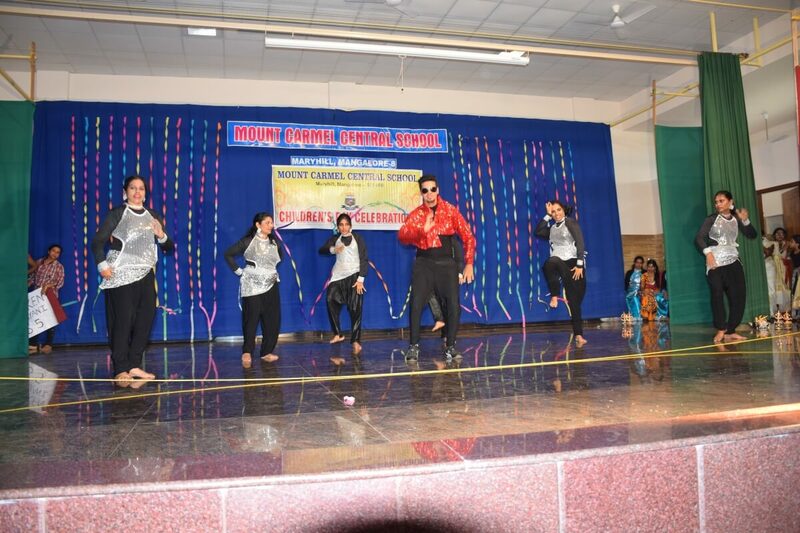 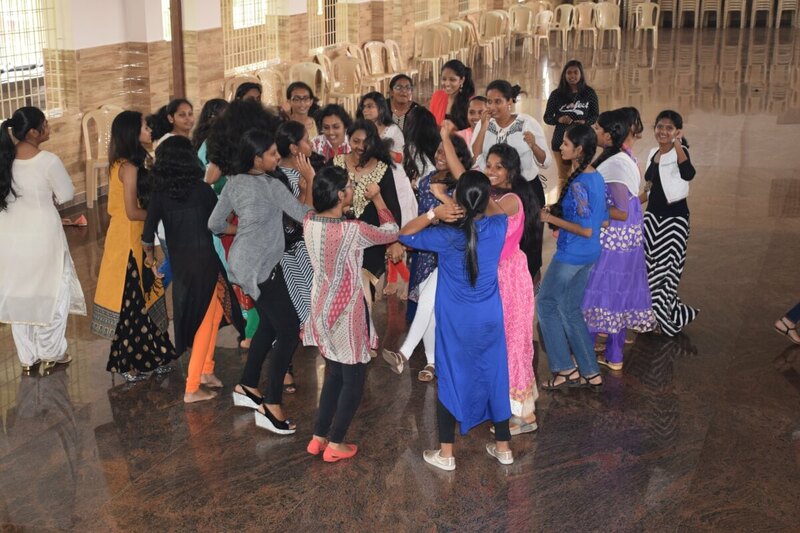 Students of classes X – XII were given time to rejoice this day and dance to the music after the formal programme. 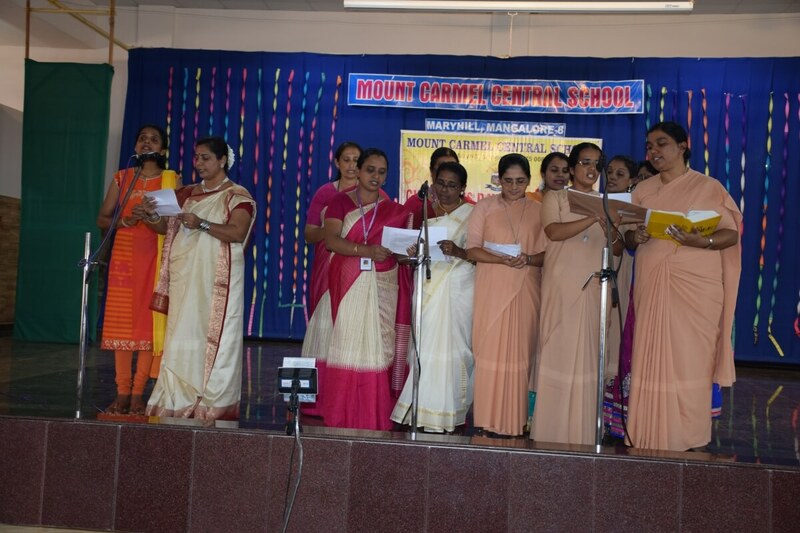 The programme was compeered by Mrs Philomena and Mrs Clara.